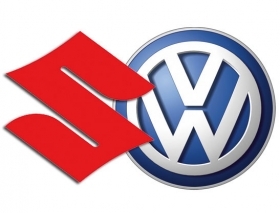 TOKYO – Volkswagen, which faces arbitration brought by Suzuki to end their partnership, said the London court handling the proceedings won't make a decision before 2013. The German automaker said in its annual report published on Monday that it "considers the claims to be unfounded and has itself filed counterclaims." Hideki Taguchi, Tokyo-based spokesman for Suzuki, said he hadn't seen the report when contacted for comment. Suzuki said November 24 it started arbitration at an international court in London aimed at ending its partnership with VW and forcing Europe's largest automaker to sell back its 19.9 percent stake in the Hamamatsu, Japan-based company. Each company has accused the other of breaching their cooperation agreement, which was meant to supply Suzuki with technology and provide VW with greater access to the Indian car market. The carmakers have been at odds since VW described the Japanese automaker as an "associate" in its 2010 annual report. Suzuki is prepared for the arbitration process to take as long as two years to complete, Executive Vice President Yasuhito Harayama said last November.